Will Immersive Education Lead To A Generation of Developers? So, I was reading news online the other day and I came across a story about this new toy from Fisher-Price that’s designed to give preschoolers their first introduction to coding. “Say what?” I thought as I clicked through to read it. 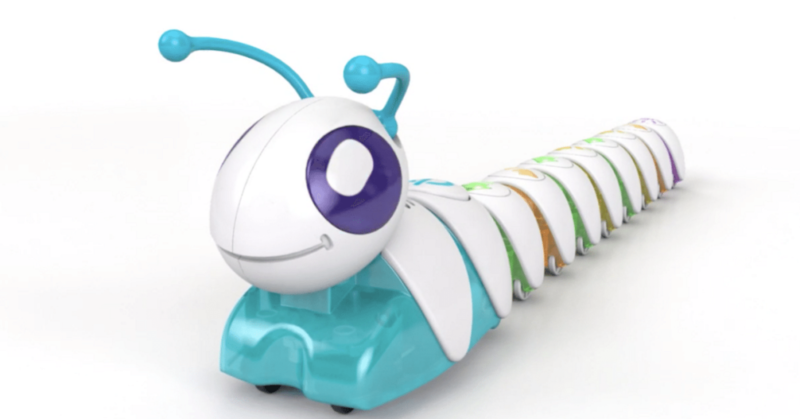 Apparently, the Think & Learn Code-a-Pillar is a toy that’s meant to introduce 3 year olds to the concepts behind coding including problem solving and sequencing. It’s super basic, but that’s the point. Each segment of the Code-a-Pillar has a different function like turn left, turn right, flash lights, or make a sound. Depending on how you plug each segment together will determine the order in which the toy performs each command. While this might seem like a bit much on the surface, it’s actually kind of cool. The earlier kids are introduced to this way of thinking, the easier it will be for them to pick up more complex skills later on. The Code-A-Pillar is not the first toy of this type, though it is the first aimed at such a young demographic. Another prominent code instruction toy is the Dash and Dot. This toy consists of two robots (one that moves around, one that doesn’t) that can listen for commands, make sounds, flash lights, and detect movement. These robots can be programmed using an app called Blockly, which consists of blocks with different commands on them that you can drag-and-drop around. You can program sequences with this toy like “Drive forward and say hello.” What makes this toy more advanced, however, is its inclusion of conditional statements. For instance, you can program the toy so that if it drives forward and senses something in front of it, it can stop and make a sound. And as just about everything does, these toys got me thinking about WordPress and the future generations of coders. With this kind of early immersion learning, might more people become developers? That’s something we can’t know for certain, but the placement of early learning models certainly can’t hurt for achieving this end. It’s been held as fact for many, many years that immersion is one of the best ways to learn a new language. Unlike traditional language learning classrooms, where the students are only forced to engage in the foreign language during specific times, immersion programs require the students to “pick up” the language as they go along. They learn by doing, or in this case, by listening and speaking. In fact, immersion programs have time and time again shown to be much more effective at promoting language acquisition than traditional programs. This learning model makes me think a lot about the process of learning code and programming. After all, the various coding languages are just that—languages—which means similar learning models would apply. There are tons of foreign language immersion learning programs already but not very many for immersive coding education. Since the objective of code is different than verbal language, it’s understandable why this model doesn’t, if you’ll pardon the pun, directly translate. For lack of immersion code education, there are some early education programs that aim to introduce coding concepts to kids at a young age. Many of these programs come in the form of online courses that can be worked at the individual’s pace and fit within their schedule. YouthDigital. 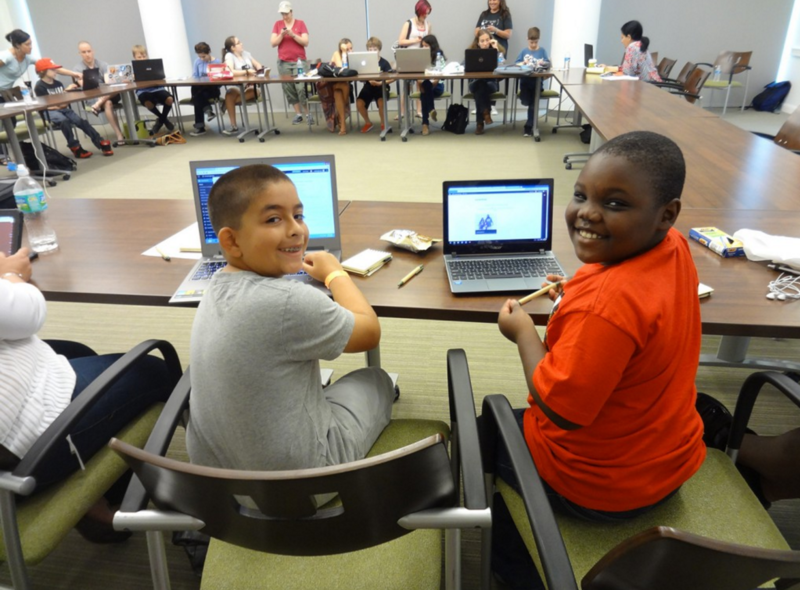 This program is designed for kids between the ages of 8 and 14 and helps them learn to code, design, and develop. You can find courses in animation, server design, app design, and more. Tynker. These subscription-based online courses gives kids access to tutorials, exercises, tools, and puzzles to learn programming. 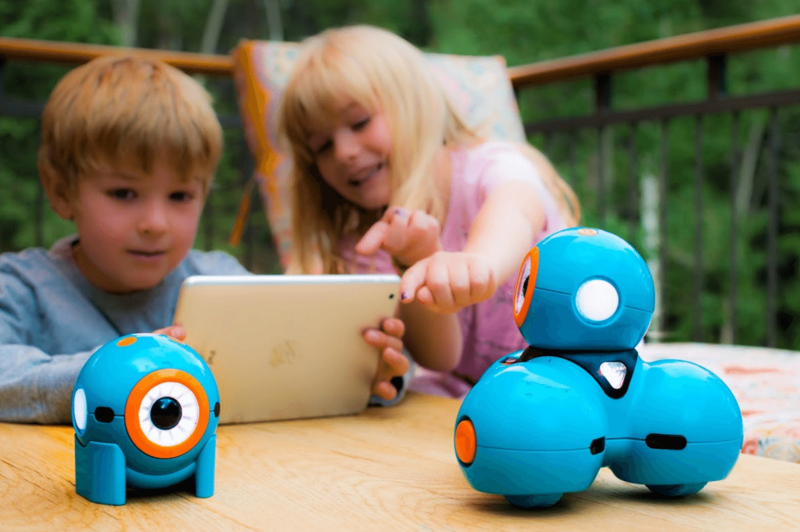 The guided learning modules will help kids learn to command robots, make apps, and build games. Code.org. These free modules take kids on a journey with numerous popular characters to learn the ins and outs of basic coding. Bitsbox. This monthly subscription box comes chock full of goodies that teach kids how to code. It’s intended for kids between the ages of 6 and 12 and helps them to build awesome things with code. Alice. Alice is a free 3D programming environment that teaches kids all about computer programming through a visual interface. Best of all? It’s free. Move the Turtle. This iPhone and iPad app helps kids over 5 learn coding basics through a visual interface. Scratch. This is a block-based coding module that lets kids create stories, animations, and games to share with anyone they’d like. Kids Ruby. For kids looking to take their code education even further, there’s the Kids Ruby program that teaches them real Ruby code. And these are just a few of the programs out there right now. Many more are available as well depending on the child’s age and skill level. WordCamp has long been the place for people from all corners of the WordPress world to gather together and learn and share. That’s why it makes perfect sense for kid’s tracks to gain an established presence on the schedule. What the kid programs entail depends on the specific WordCamp, of course, but we’ve been seeing the emergence of numerous kid’s tracks with WordCamp for Kids workshops and taking place at numerous events. In fact, there’s even the very first Kid’s Panel slated for the upcoming WordCamp Miami. While immersion learning isn’t quite the standard for coding education right now, more and more programs designed for kids emerge each year. And with that comes more opportunities for kids to get on an educational path that leads to a career in programming than ever before. Do you think the release of toys like the Code-A-Pillar will lead to a new generation of developers? Do you think how the early learning programs foster an interest in coding will spawn a greater number of people pursuing that as a career? I’d love to hear your thoughts below.